As makeup artists, we were thrilled to see a fresh, sculpted take on Au Natural emerge on the fall runways of New York Fashion Week. Contouring played a major role, whether the effect was subtle or sculpted. Taking inspiration straight from the catwalk, Chad Hayduk, Co-Founder of Three Custom Color Specialists, went into the lab to create a multi-tasking shade for an elegantly pulled together, yet natural look. The result is CARAMEL ROSE LIP & CHEEK STAIN, an earthy rose shade in Three Custom Color Specialists’ long-wearing, multi-tasking lip & cheek stain formula. CARAMEL ROSE adds a dewy, rich sienna flush when applied to the cheeks, and creates an enhanced, my-lips-but-better look on the lips. The shade was designed to flatter a wide range of skin tones and to be used as a blush, contour, and lip color. Apply Warm Camel Eye Shadow over the lid and Black Eye Liner close to the upper lash line. Apply Fawn Eye Shadow along lower lash line. Apply Caramel Rose just under the apple of the cheek and blend back towards the hairline. Using your fingers, apply Caramel Rose on the lips. 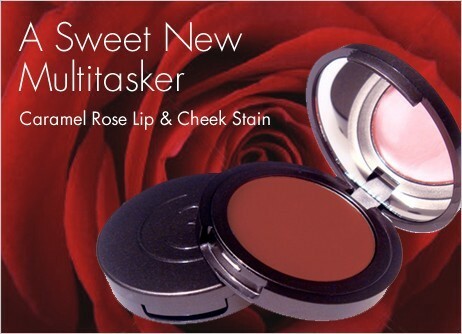 An earthy rose shade in Three Custom Color Specialists’ long-wearing, multi-tasking lip & cheek stain formula. CARAMEL ROSE adds a dewy, rich sienna flush when applied to the cheeks, and creates an enhanced, my-lips-but-better look on the lips. Soft medium brown with a swirl of bronze shimmer! A creamy beige. Can be used all over the eye as a color wash. This is the shade featured in People Magazine on Fergie.